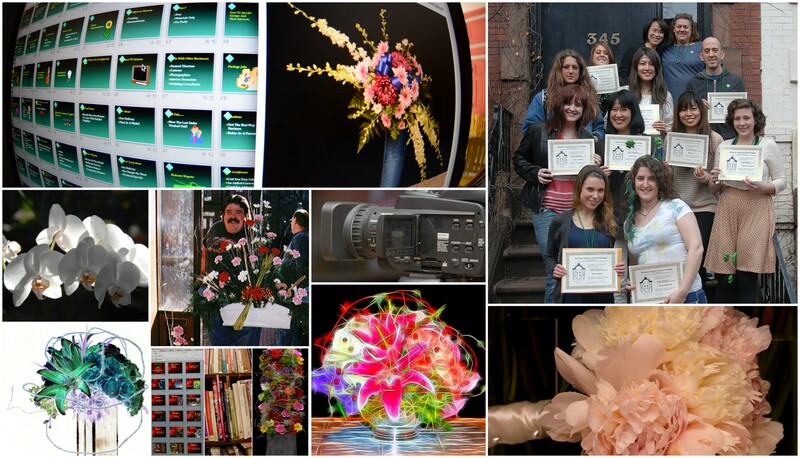 What is The Rittners Floral School Difference? Your Staff Includes REAL TEACHING SKILLS--not just well meaning floral designers "learning" to teach. One of your instructors has a Masters and Doctorate in Teaching. In fact the owner of the school is actively involved teaching IN EVERY CLASS.... YES. It does make a difference. Great teaching makes your learning much easier and much more fun. We are a real floral school, not a basement or spare room of a flower shop, or a borrowed area for a "temporary or traveling school." We are the real thing... At Rittners teaching you is our major business--not an extra or afterthought....This means we work hard at teaching you, not at filling the Jones Funeral Order. Teaching you is our major business, not an extra or a sideline. Because we are a real floral school, It also means that we are actually physically here and easy to reach even after you take the course, to offer advice and backup. We are not off in some other part of the country. Our classes are set up to be educationally sound. We don't try to teach you faster than you can absorb. We feel that a course in floral art should be enjoyable and allow you the time to be able to learn AND remember the information. Our courses are designed by a real teacher with graduate degrees in education. It does make a difference. You don't want your course to feel like one of those vacations where you can't remember what country you are in because you are moving around too quickly. We have great facilities that are specialized for teaching. Strong use of media, amazing print and non print facilities. Not a cramped basement or temporary makeshift area in a wholesale operation. You would demand a real school, in a school for your kids. You're entitled to it in a floral school you are attending. ONE GREAT COURSE--That starts simply but in most programs Includes Intermediate and advanced skills--Not a never ending confusing, series of courses (designed to make you keep coming back for more design classes). YOU GET AMAZING VALUE AT OUR SCHOOL. PAY-AS-YOU-GO with NO INTEREST or finance charges in most of our programs. AN EXCITING COURSE CAREFULLY DESIGNED TO GIVE YOU BETTER VALUE....Many of our programs INCLUDE such topics as.... Designing with Exotics, Hand Tied Bouquet technique, Topiary Skills, Holiday Floral Art, Underwater Floral Art and MUCH, MUCH More! STRONG BACK UP SERVICES--FREE for our graduates when the course ends.